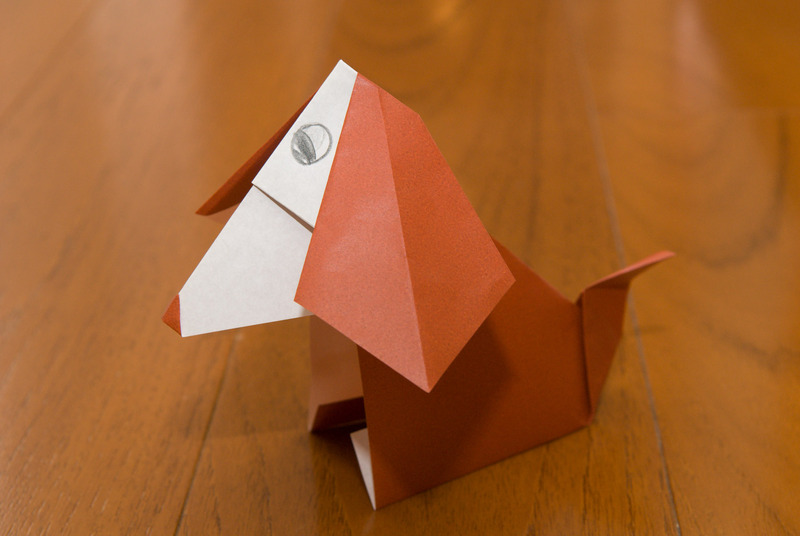 Anthony played with an older friend the other day, who made for him some origami puppies (origami being the Japanese art of paper folding). They were adorable, all the more so because their heads bobbled in the breeze like a bobblehead doll. 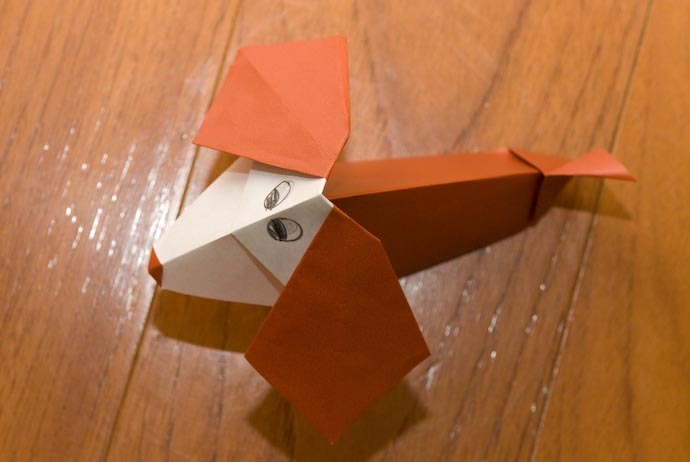 One you have the basic concept down, you can make adjustments to the body and head and end up with a whole pack of different puppies, each with their own personality. When the full-resolution image is viewed on my high-resolution monitor, that 1/20th-of-an-inch becomes about 10½ inches, yielding a magnification of about 45,200 times. Cool. 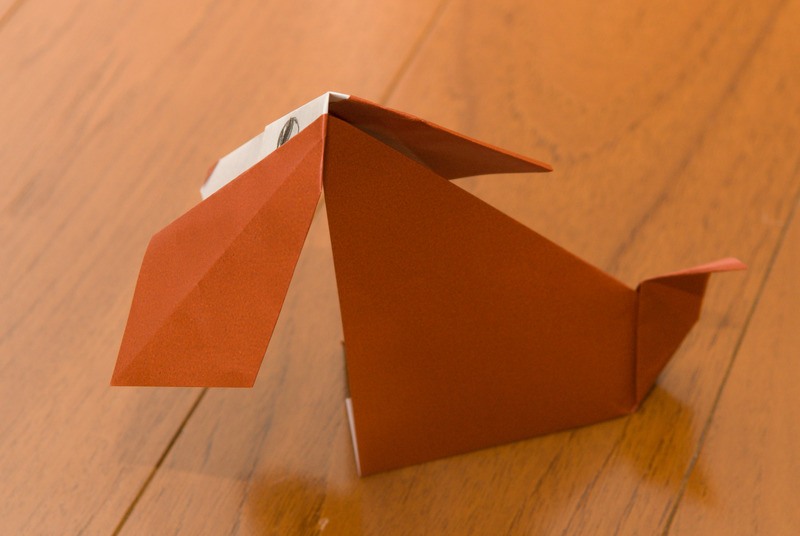 How about some how-to plans for the origami? We may have the real thing – a young Welsh springer spaniel called Moss (!) 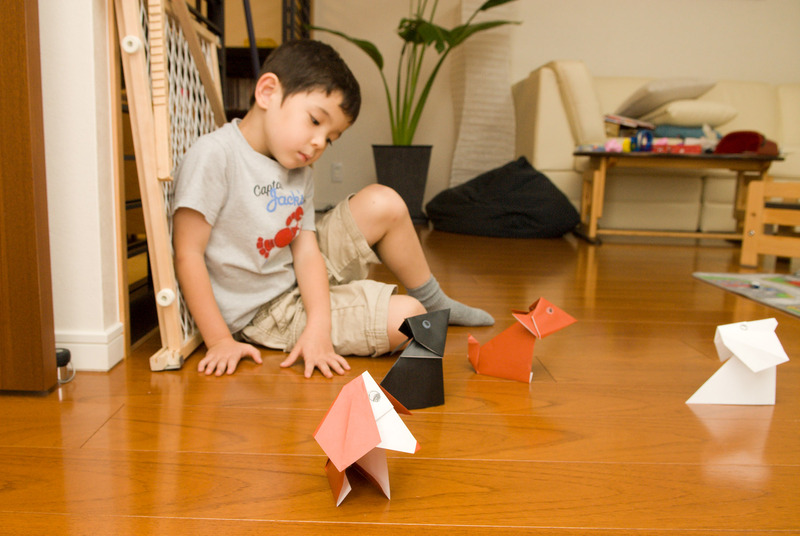 lies at my feet right now – but a more portable and obedient version has a lot of appeal! As for the CF card: isn’t there a bit of confusion over magnifications you’re giving? The x5 on the sensor is linear magnification, which is surely the normal way of indicating it, i.e. 1mm in the real world covers 5mm on the sensor. But the x45,200 is areal magnification, isn’t it, i.e. the square of the linear, so on your monitor, the “true” magnification is about x213. Or am I missing something? 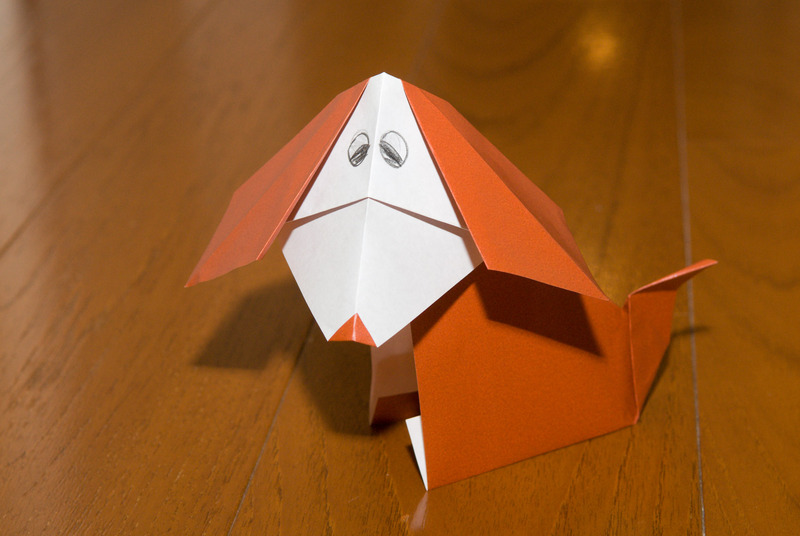 Pretty neat origami. Now where do you get paper that is white on one side and colored on the other. I have never seen that in the U.S. I am going to modify the pattern into a cat version. Well, that’d make some *really* finely grated cheese.